The Green Turtle is present in all the oceans of the world which makes the counting of its population very difficult. Unfortunately, the threats to this species are many. Many predators threaten his offspring, due to the vulnerability of his breeding process. On the sandy beaches where she lays her eggs, crabs, birds, insects and men, until the arrival in the water of her cubs where octopus, squid and big fish come to devour them. Sharks, marine crocodiles and Man hunt her as an adult for her flesh. They are also the main victims of "blind" fishing processes, particularly drift nets. 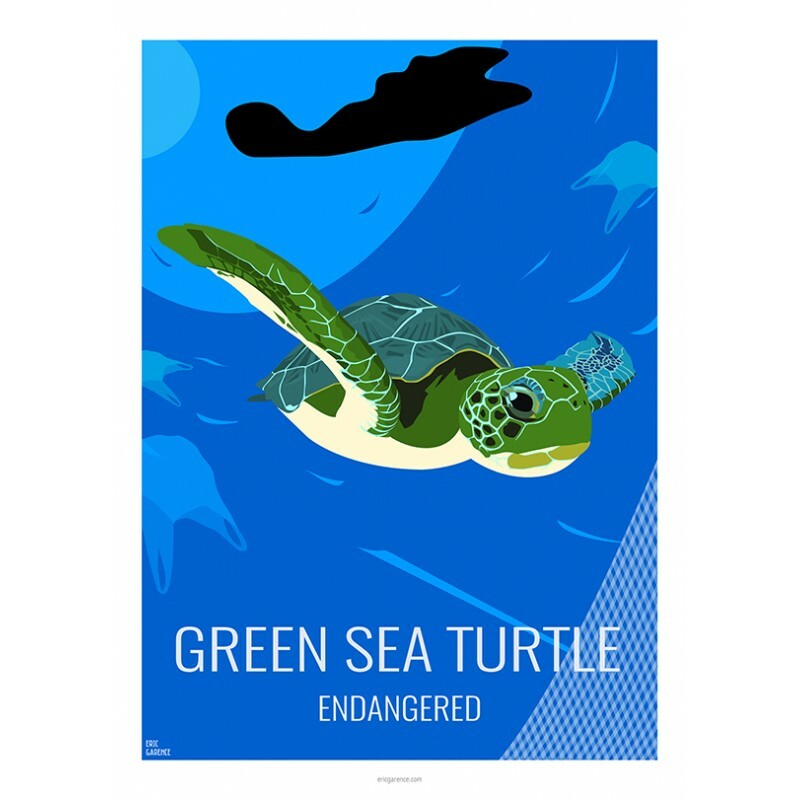 The other big threat to the green turtle is the pollution, by the plastic waste, as on the poster with these plastic bags that the green turtle tends to confuse with jellyfish, but also by the presence of toxic substances in water that causes diseases such as Fibropapillomatosis, skin disease that could be herpes type, become common on green turtles.